This jacket has the highest levels of waterproof protection with Opti-Repel Technology, that is designed for the most extreme weather conditions. 2 front waterproof zipped pockets and a contrast detail for added style, the Callaway Green Grass Waterproof Jacket provides ultimate waterproof and wind protection with a modern stylish design. 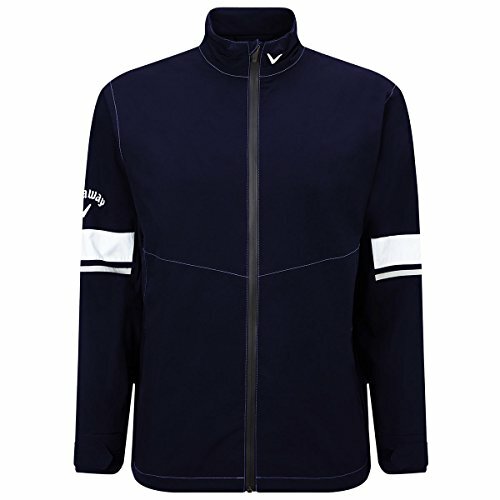 The Callaway Green Grass Waterproof Jacket is designed for maximum weather protection from all the elements and has a stylish design that is worn by Callaway Staff Players on tour.